Luxury retailer Stanley Korshak in Dallas can't keep it in stock. Michelle Obama has been photographed numerous times wearing it. For CFDA design darling Monique Péan and Ivory Jacks in Bothel, Washington, that create jewelry out of the material, business has been good. 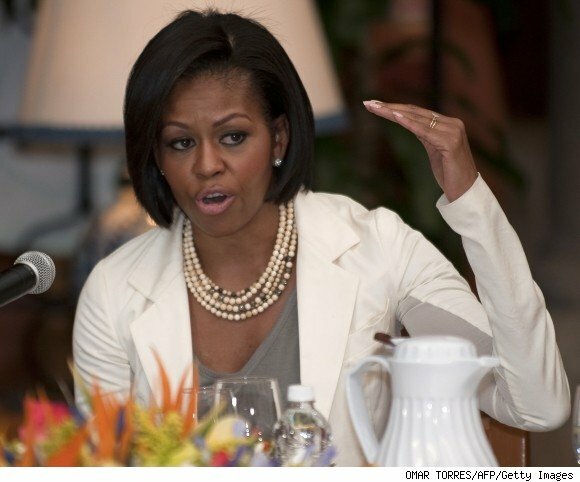 The First Lady wore woolly mammoth jewelry by Monique Péan on a trip to Mexico a few months ago-specifically earrings, cuffs and strands. She wore the cuffs again recently to greet President Obama on his 49th birthday. The cuffs go for $4,480 to $7,420. The earrings can fetch anywhere between $915 and $2,970. Unlike elephant ivory which is primarily off-white, woolly mammoth ivory is unique in that it has many different colors-tan, brown and sometimes blue. Ivory Jacks jewelry designer Courtney Tripp explained to me this week at the Gift Show in New York that the colors are a result of thousands of years of mineralization. No two tusks are the same color. So no two mammoth jewelry pieces can be exactly the same. The ban on ivory-implemented since the '80s to stop poachers from killing the elephants simply for their tusks-does not apply to this fossilized stuff. Trade in dead mammoth ivory is legal and has been for 300 years because it does not threaten any living species. This ivory is found in mammoth tusks that have been preserved in ice and permafrost of Arctic regions in Siberia, North Canada or Alaska. As the ice packs and glaciers have receded, more and more tusks have been found. Tusks have been unearthed in road construction or spotted from a plane in melting river banks. Most jewelers claim that woolly mammoth jewelry is conflict free, eco friendly and sustainable. The truth is mammoth ivory is rare and costly because mammoths have been extinct for millennia. "Mammoth ivory is absolutely a non-renewable resource, and it is absolutely being depleted, in part, by the commercial trade," Dan Fisher, a University of Michigan mammoth expert, told AFP.